After making breakfast pizza before, I didn’t make it again for awhile. Until now. 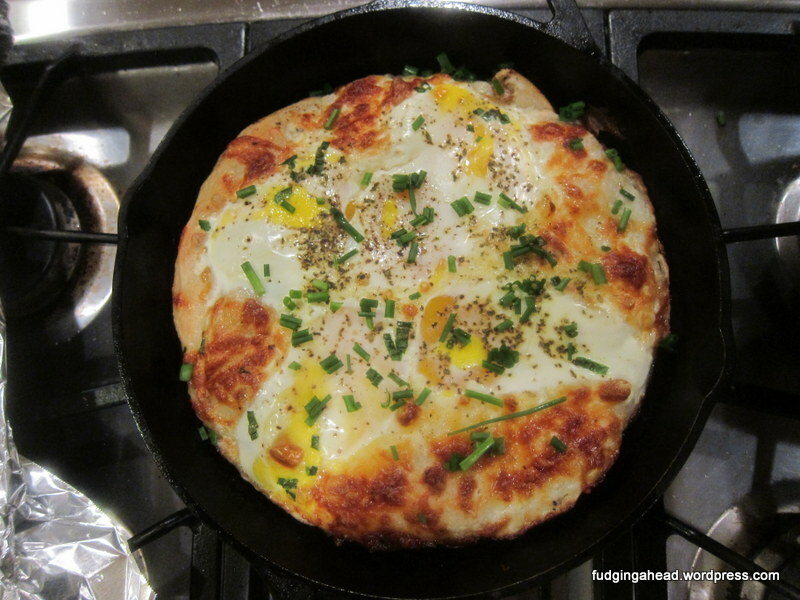 I had been super happy with my latest pizza dough and I found a recipe to make breakfast pizza a different way. So, I decided to try to combine the two. I made the dough one night and then woke up in the middle of the night (thanks, Chiplet) to find out the power was out in the house. In fact, most of our region was without power from a wind storm. So, I was left with dough that I couldn’t cook since our generator was not quite strong enough to risk using the oven. So, I contacted the pizza dough recipe creator on Twitter and he actually gave me the idea to try grilling the pizza. It was dry and not too cold out so I decided to give it a go. And of course it started raining as soon as I started grilling. And then it was so dark out that I couldn’t quite tell what I was doing. So, the first pizza was just so-so. Then a few days later I made a second pizza with the remaining dough and it actually turned out much better with the oven, so maybe a regular pizza would be fine on the grill but not this version? Who knows. Either way, this one was great. We might have found a winner. I have made it several times now and it has been a hit with all (well, 3 since Chiplet can’t do cheese) of us. 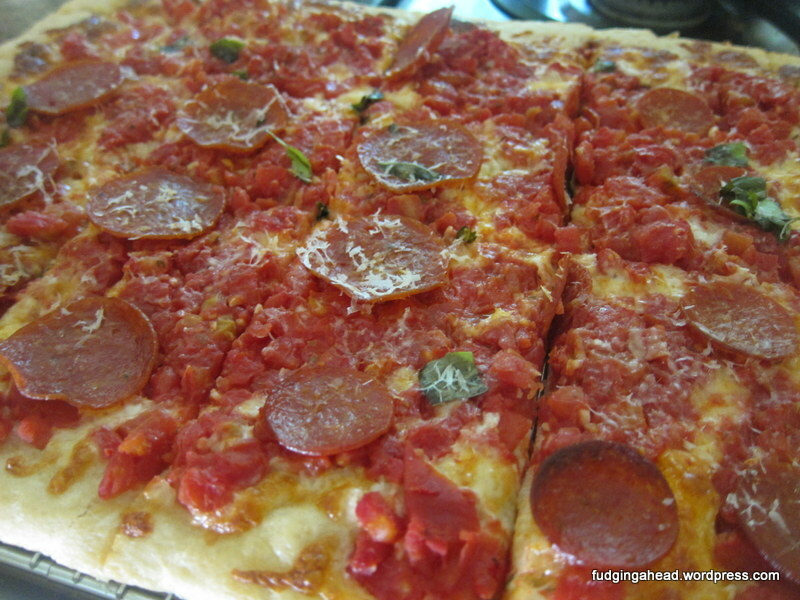 I’ve made good pizzas before but they are often super complicated and finicky. This is the first recipe I made post-Chiplet’s birth. I made it 4-5 days after he was born. The first two nights I was at the hospital, and the first night home a friend dropped off dinner. The next night we had leftovers that needed to get eaten (this recipe here) and then the next night we ate this. 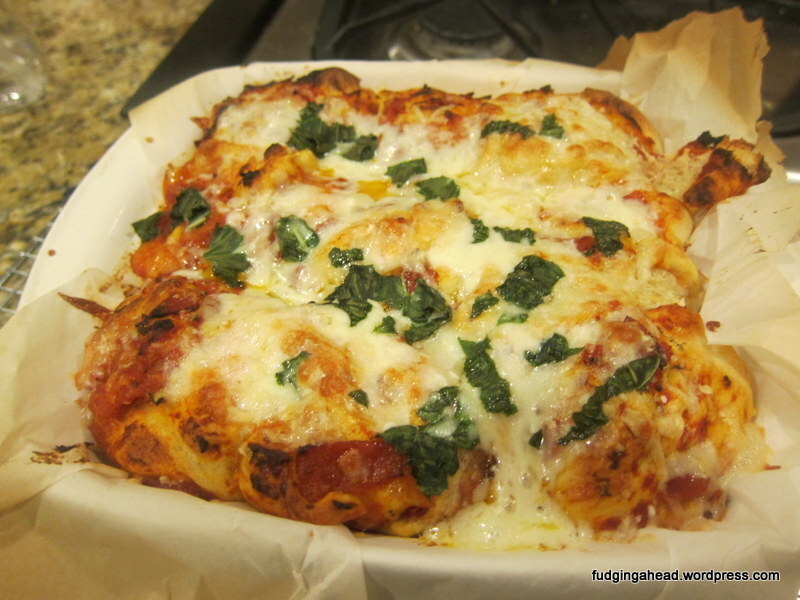 It was such a filling pizza that we ended up having it for dinner and lunch leftovers too. Working with dough can be very hit or miss for me. Sometimes I get great results, and most times I feel like I have failures. It’s hard to tell how much is me and how much is a fault of the recipes. 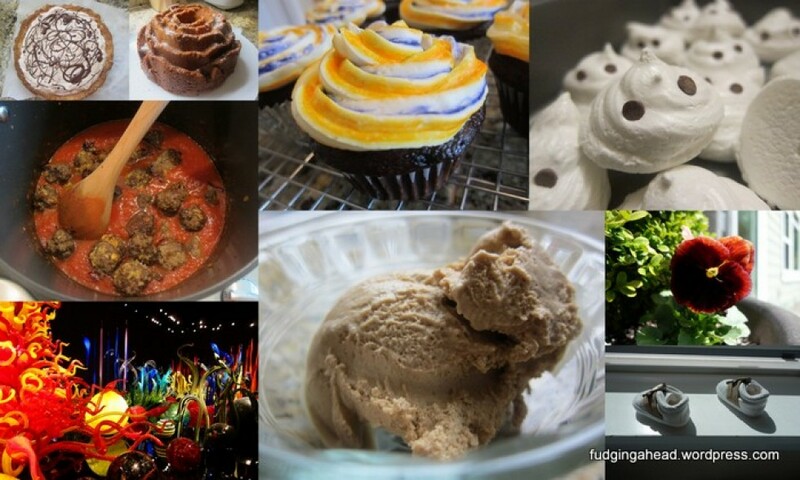 Regardless, I keep looking for and trying new recipes because I hope to improve my own skills. 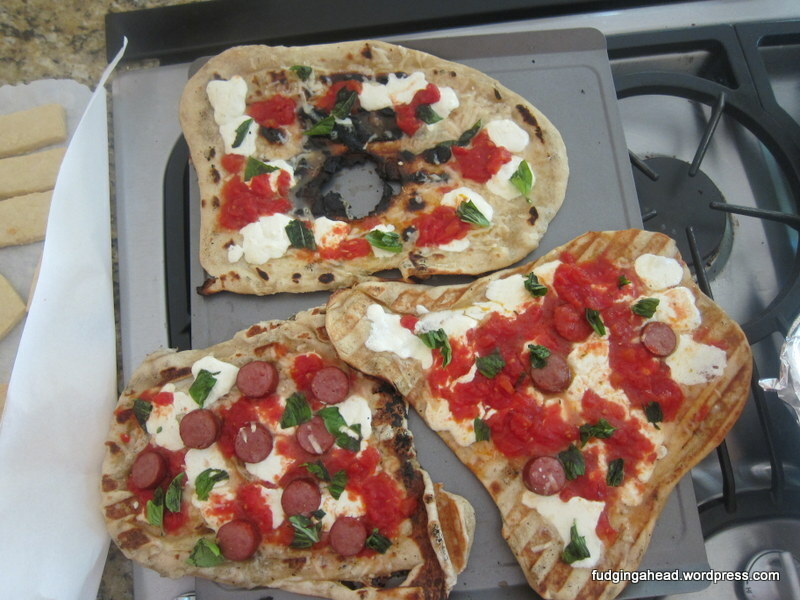 I had never made grilled pizza before, although I have made scallion pancakes. 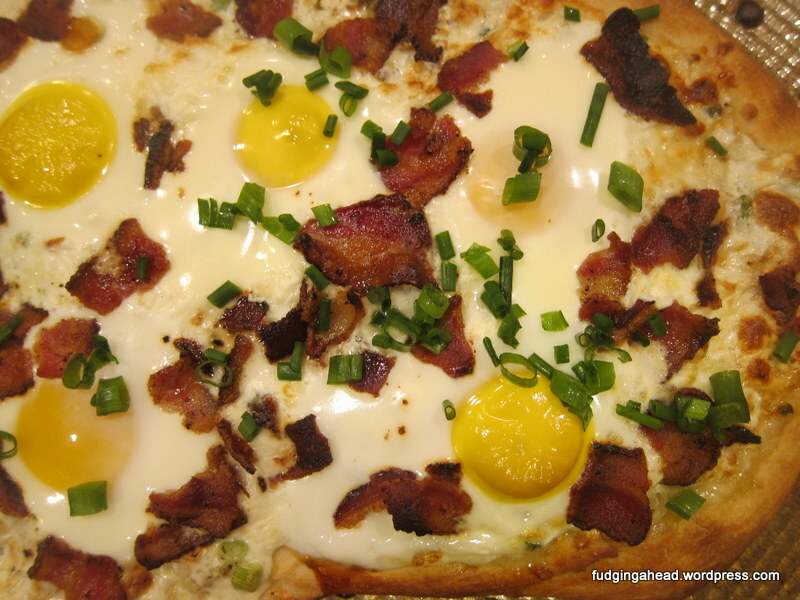 I’ve seen breakfast pizza many places and not done the way I would like it…I like my eggs on the more “done” side and not running all willy-nilly over my pizza. I also want to be able to make it quickly if it is for breakfast. Or really, quickly for any meal. Who wants to work all day on a simple pizza recipe? This recipe from America’s Test Kitchen was perfect! The dough is something you make ahead of time, and it has built in time that allows you to make it a bit early or a bit late. The actual topping part is also simple. The longest part is cooking the bacon. I watched the episode of Cook’s Country where they made this pizza. 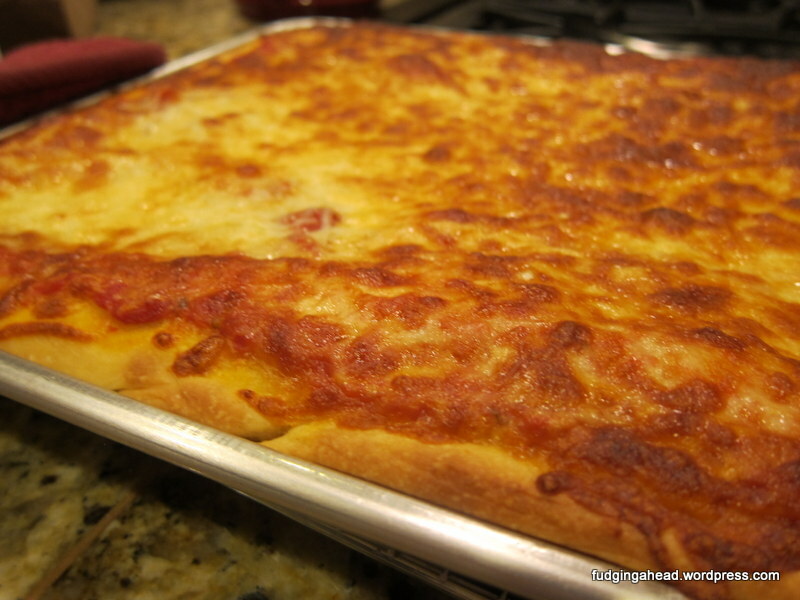 It seemed interesting because it was made in a baking sheet (no pizza stone mentioned), I didn’t need to make or buy a sauce, and the cheese goes on first, before the tomatoes. Thennnnn I made the mistake of not saving the recipe for later. Thankfully, I found it on a blog so that I could make it, too! I am not sure what Rebecca changed from the original since I don’t have the original, but I liked how this turned out. I’ve been making lots of pizza things because the Fudgelet finally likes it, and it is less messy than some other food. At least, homemade pizza tends to be less messy. I’m feeling in the mood for pie, I guess. 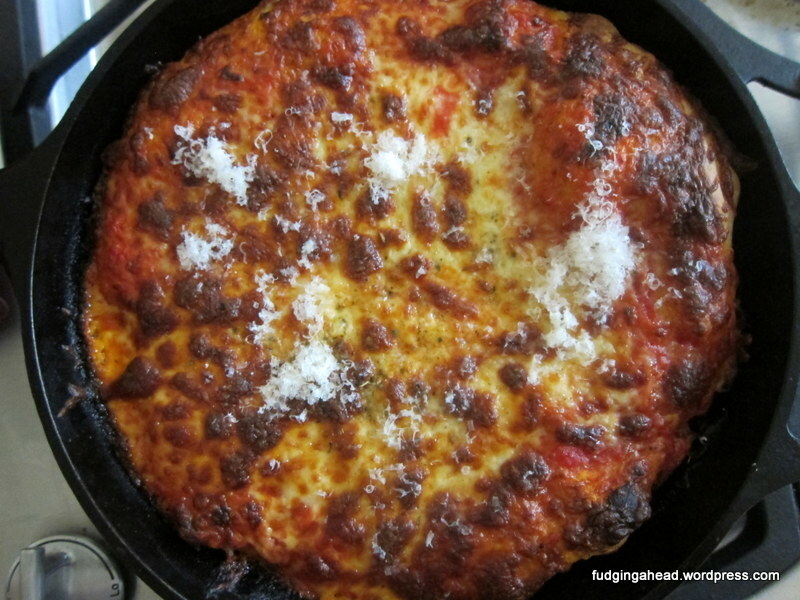 First ham and cheese pie, and now a pizza pie…except this dish is not a normal pizza, so not a pie at all. Alas. Maybe next week I will share a chocolate pie I’ve been holding onto for awhile now.